In order to empanel teachers for appointment on contractual basis for the session 2018-19 a walk-in-interview for the following categories will be held at KV No 4, Central University, Tezpur on 07/03/2018, 08/03/2018 &09/03/2018 at 8:00 A.M.
1, Date: 07/03/2018, Post: TGT, Subject: Hindi, English, Mathematics, Science, Social Studies and Sanskrit, Art & Craft Coach, Music/Dance Instructor, Nurse & Counsellor. 2, Date: 08/03/2018, Post: PRT, Sports Coach and Yoga Instructor. 3, Date: 09/03/2018, Post: PGT, Subject: Hindi, English, Mathematics, Biology, Physics, Chemistry, Computer Science, Economics, Commerce, Geography, History, Political Science, Computer Instructor & Assamese Language Teacher. 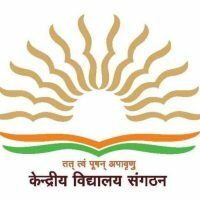 For eligibility criteria, qualifications required & other information download the Official Notification of Kendriya Vidyalaya Central University, Tezpur.